Towards the end of my pregnancy I was craving brownies in a big way, and happened to have a packet of Oreos that needed a purpose. I’m not a fan of them on their own, so I decided to experiment with a recipe that was a little on the lighter side, ditching butter and the usual cooking oils, by substituting with coconut oil. 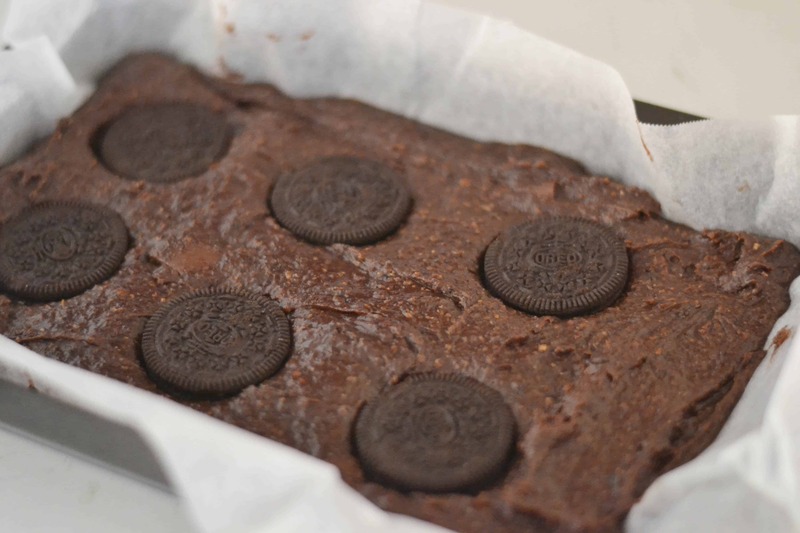 The result – no butter oreo brownies. 1. Pre-heat oven to 180 degrees Celsius. Line and grease a slice pan. 2. Beat eggs until fluffy. Add in other ingredients, except Oreos and mix well. 3. Pour batter into slice pan and spread out. Push Oreos into top of brownie mix. 4. Bake for approximately 25 minutes or until toothpick comes out clean. 5. Cut into small pieces and serve. Alternatively you may want to break your brownies up and mix through with the rest of the mixture if you prefer. Either option will work well. The coconut oil gives a very subtle coconut flavour to the mix, which works great with the rest of the ingredients. And the added bonus is a less fatty brownie without the butter or other types of oil, so you can indulge with a little less guilt (just don’t think about the chocolate, the sugar and the oreos). 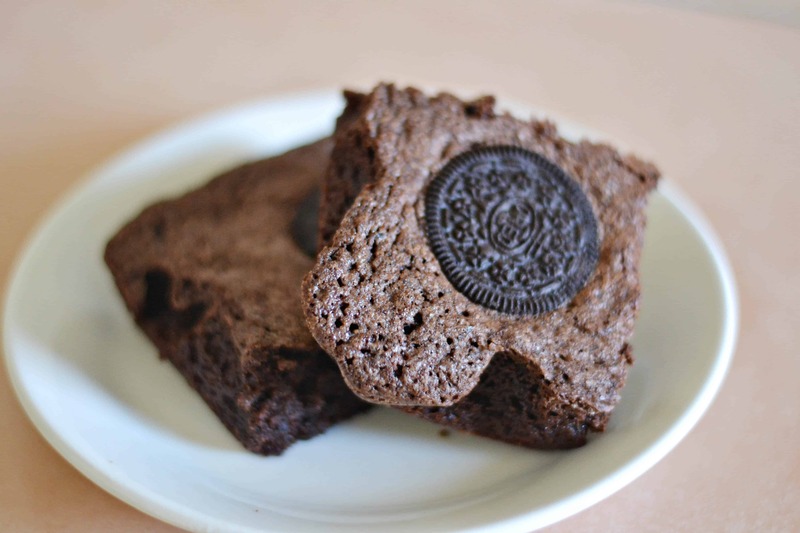 Have a go at these simple one bowl no butter Oreo brownies and you won’t regret it. Do you cook with coconut oil? What is your favourite use? How clever, love the idea of replacing the butter I have a few friends who are dairy intolerant and I bet this would be a great option for them. Ooh these look great – such a clever idea! Thanks Lauren. We just made another batch but out of Oreos so these ones just have white choc chips scattered through. So much chocolate goodness!